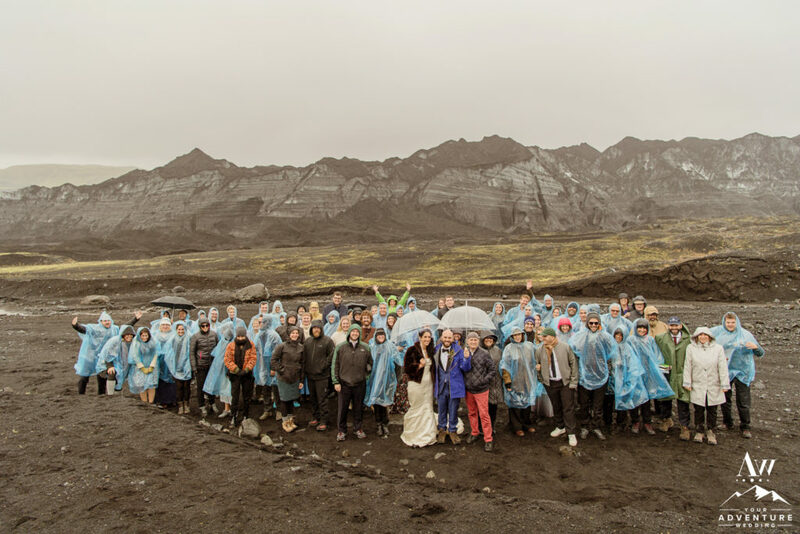 Attending an Iceland destination wedding will be unlike any wedding you have been invited to. Mainly because of the distinctive scenery, unpredictable weather, and terrain. 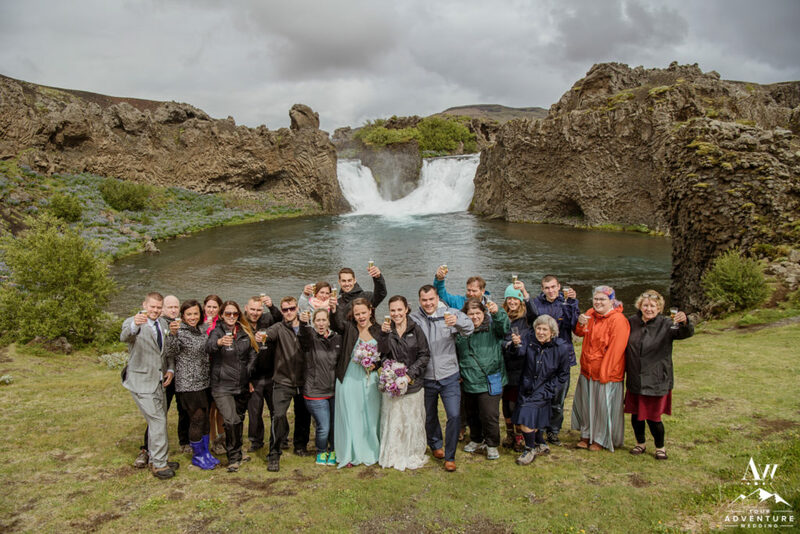 Depending on the specific Iceland wedding locations the couple have chosen, the appropriate attire may vary and in most cases you may want to plan to have two outfits. We often get the question from guests asking us what they should plan to wear to a wedding in Iceland. So today we are going to talk about the etiquette, options, and our personal recommendations for you to consider. Boots and Suits (meaning nice on top for photos and rugged on the bottom to navigate comfortably through the terrain). Ladies, I would encourage you to wear something nice with FLAT shoes / boots. This could mean a cute warm long sleeve dress with leggings, layers, and like an awesome pair of hiking or Sorel boots. Overall, if you are attending a wedding we have personally planned, you will need hiking boots and waterproof outerwear. We also encourage you to bring a “go” bag which contains things like layers, extra socks, extra shoes, Hot Hands, and snacks. Ask your couple further on how to prepare (will vary depending on their Iceland wedding locations). It is also proper etiquette to ensure you do not wear anything that will draw attention away from the couple. Below we have compiled our list of “do not ever wear to a wedding” items. Now that you know what you should never wear to a wedding, we’re going to narrow down for you some of the things you should wear to a wedding in Iceland. You may also find our previous blog post on “What to Pack,” helpful as you pack for that Iceland destination wedding. The best way to communicate your desired attire for your guests would be through your wedding website. It is easy to include a section focused on this topic on your webpage explaining the expected attire. 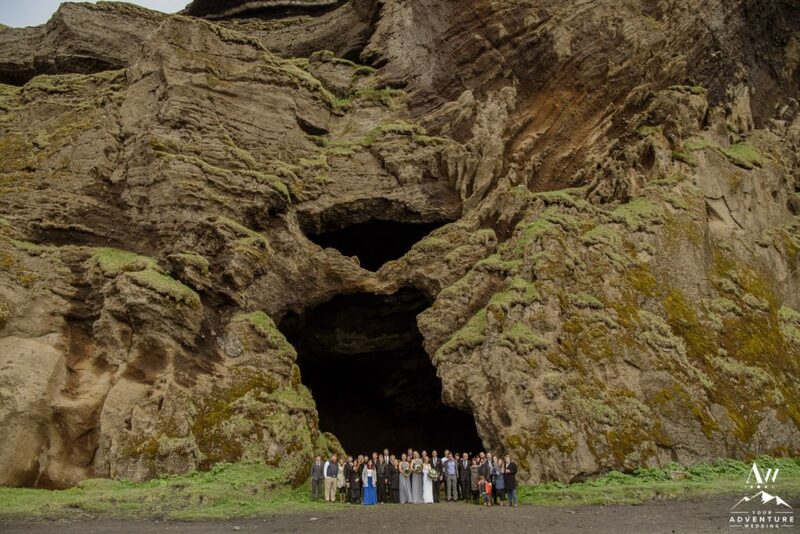 Some example Iceland wedding scenarios below. Wear warm enough clothing to be outside in for 1-2 hours at a time in temperatures just above freezing. Recommended Shoes: Flats or wedged heels. Bring cocktail attire to change into for the Iceland wedding reception. So now you’re probably wondering what our guests ended up wearing after suggesting the above, right? Most of our male guests wore a suit and tie (Our Australian guests even wore long-johns underneath!). The majority of our female guests wore dresses with leggings and boots. All of our guests wore/brought a coat on the bus and simply took it off for a few minutes when we were doing our Iceland wedding photos. The majority of the ladies changed into cocktail dresses upon our return to our wedding reception site. A perfect example of what our guests wore at our Seljalandsfoss Iceland wedding ceremony can be found here and another example what our guests wore at our Reynisfjara Beach champagne toast here (Note, we were married in April 2012, we would not suggest these locations any longer to marry at). Dress in layers (state what the average temperature may be on your wedding date). Dress to possibly withstand high winds, rain and / or sand storms (IE, layers like long johns or Under Armour). Waterproof Coat with a hood. Be prepared to walk on uneven surfaces, loose rock or sand. Plan to encounter strong wind gusts. Make your guests aware of how long they may be outside (IE, 20-40 minutes at a time, etc). If applicable: Cocktail Attire for indoor reception. A pair of comfortable walking shoes (if you plan on having a little country or city tour after). We hope you have enjoyed today’s post on Iceland Wedding Guest Attire. 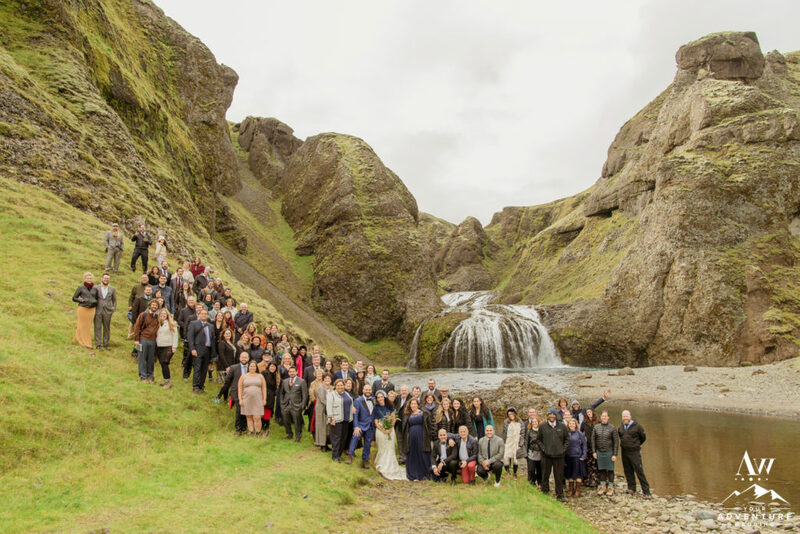 Feel free to link your guests back to this Iceland Wedding Planner blog post to use as a guide for them to pack and dress for your super exciting destination wedding in Iceland!